I’ve been upgrading my virtual host at home which has the happy side effect of being able to host more RAM hungry machines. This means I’m now able to play with some different servers at home, including Lync. This is the first part of three (I think) videos that I’ve recorded about how to “upgrade” from OCS 2007 to Lync 2010 standard edition. I suppose technically this isn’t really an upgrade but more a migration as we are moving users from one server to another instead of re-using the same hardware but ho-hum who’s going to argue with me? If you’ve enjoyed that (or otherwise! ), or want to point out some glaring mistake then please drop me a comment below. I’ve also tried out using a slightly larger video format, does that make things easier to watch? 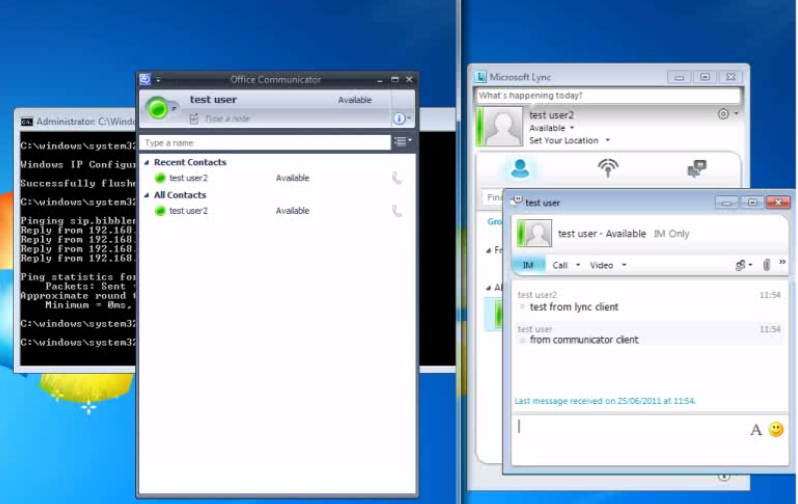 PreviousHow to describe Lync voice? Awesome tutorial! Just in time too…getting ready to do my own OCS 2007R2 -> Lync 2010 upgrade! Thank you! I am in the planning phases of upgrading our 2007 environment to Lync. Can’t wait for part 2. I’m performing this upgrade in my environment soon.. your video is clear, quick and precise. Thanks for taking the time. Hi Ben, thanks for the excellent tutorial. I just wanted to run a question by you, I haven’t been able to confirm this anywhere. How do we migrate the archived data from OCS 2007 R2 to Lync 2010? Is this possible at all? All indicates that it can’t be converted, and that it would have to remain as historical data on the legacy system. If it can be migrated/converted, I’d appreciate if you can share some docs, links of any info you might have on how to tackle that piece. Thank again. Loved it! Quick, to the point! Where is part 2? Would love part two?! I had to perform a Google search and found part 2… I’m probably blind, couldn’t find a link directly on your site. I’ll send a donation! This is great. It’s funny, embarrassed to say finally moving off of OCS 2007 R2; at least it was R2 ha. I certainly did find your third video, no problems. Your brain and navigation move so quickly, you are quick and that is what I really appreciated about this! I was showing my buddy and he said, `This guy is perfect for you`. You really have to know your stuff, and you do! 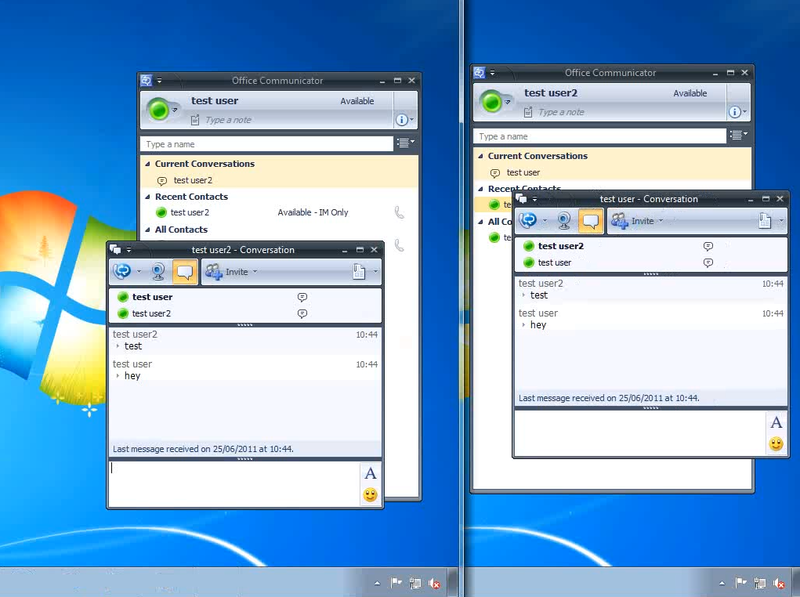 I’m happy to say that we are looking great, I have a few test users going, even on Mac’s with Lync 2011. We are global and have multiple child domains, I had to resolve some replication issues, but knew exactly what to do and was able to pick up where I left off. Definitely have you bookmarked and spread the word to my mates:) Lync 2013 in a year on Server 2012;) I’ll be here no doubt.